HRsuccessmantra: Does workplace wellness strategy needs make over? Does workplace wellness strategy needs make over? I participated in a round-able discussion titled as "Design thinking to create winning employee wellness strategy" Oganized by People Matters along with Sanofi Pasteur on 12th April in Gurgaon, India. The debate and discussion that ensued propelled me delve deeper and to think whether the employee wellbeing agenda is at the forefront of Leadership mindset and significance and positioning that is required to be attached with the workplace well-ness Strategies of the organization are currently being practiced in the corporate world? As per Constitution of the World Health Organisation, one of the key Principles defines Health as a state of complete physical, mental and social well-being and not merely the absence of disease or infirmity. While there is an extensive debate about efficacy and limitation of this definition in the larger Pharma world, the Corporate World has already started adopting strategies to redefine work-place wellness strategies where Wellness is not just limited to physical, emotional or social well-being, however, the scope is being expanded to include environment, intellectual, career and financial inclusion as well. While there is a lot of talk, pomp and show about workplace wellness in organizations, however, expanded commitment of top has potential to further broaden and deepen it. Are wellness leaders going to be responsible for employees careers and for ensuring that they have the right environment, if so, are we open to relook and shift existing organizational structures? Enable & encourage employees to take vacation and come back rejuvenated. While working in USA, UK, I found taking time off work is part of workplace habit, however, in Indian context it is something that we need to work on shifting employee mind-set where accumulation over rejuvenation is given a priority. A reactive approach to implementing wellbeing policies rather than focussing on prevention. It is a common knowledge that when employees feel their work is meaningful and they are valued, supported and appreciated, they tend to have higher well-being levels, be more committed to the organisation’s goals and perform better and adopt and maintain healthy behaviors. We as HR Leaders need to ask question to ourselves - Are we leveraging the power of existing data and doing relevant diagnostic to design program and practices that suits the context of the organization or just picking up of the shelf program and practices here and there and doing it, as it is fashionable now to do so. How are we going to deal with our obsession with direct cost vs indirect cost i.e. cost of presenteeism where employee is present in office, howoever, not working?. At times, such cost could be higher then absenteeism. Our ability to understand significance of mental health and its impact in the workplace. Mental health problems can affect anyone in any industry and yet mental health is often still a taboo subject. I got exposure around it while working in UK and found it is still a taboo subject there to. While creating awareness is the first step, it is important that we work with Mangerial and leadership groups to bring a cultural shift to ensure that they are able to look at clues that help them identify creeping Mental Health problems, understand, empathize and see employee mental health as a priority against other operational demands. While I see governments world over including India are taking steps to enhance overall public health well being of their citizens, It is imperative that employers make employee well being a core business priority as healthy workplace, enhanced productivity and increased employee engagement are interdependent. 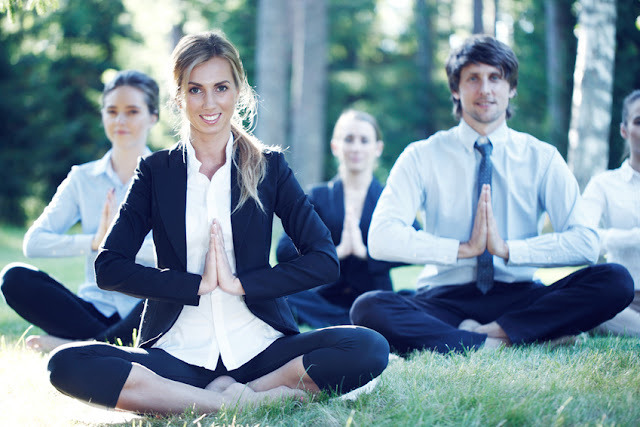 Promoting holistic wellbeing in the workplace is not only important for employees, their employers, however, also important fro the economy and society as well. It offers a win-win all round. Employees benefit from better support for their health. Companies benefit from less absence and improved productivity, higher customer satisfaction and society benefits from improved public health.